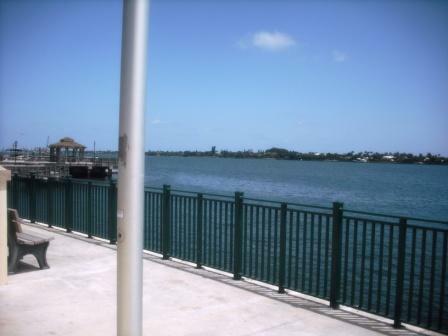 Located on North Flagler Drive and 23rd Street in West Palm Beach, Currie Park has off street parking if you just want to stop for a few minutes and view the beautiful Intracoastal Waterway. 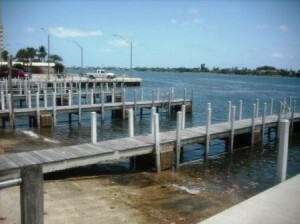 Amenities offered are tennis courts, a small playground, benches, parking and boat ramps, pier, restroom facilities, paved walkways and lots of areas to sit and enjoy the views and the boats going by. For boaters, it offers easy access to the Intracoastal Waterway. And don’t be surprised if you happen to see this strange bright blue vehicle drive right into the water. Yes, this is where Diva Duck, the famous amphibious vehicle comes by several times daily. You can get tickets at CityPlace downtown where you depart on your adventure. 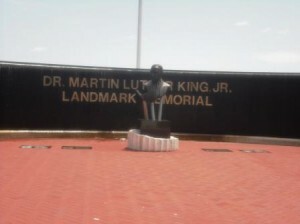 Completed in 2004 and visible from Flagler Drive, is the Martin Luther King Jr. Landmark Memorial commemorating the life of Dr. Martin Luther King, Jr. At the center is a large bronze sculpture of Dr. King holding the Holy Bible with cascading water on a curved granite wall behind him. On the wall as well as behind it are several quotes of people and events from Dr. King’s life and the civil rights movement. 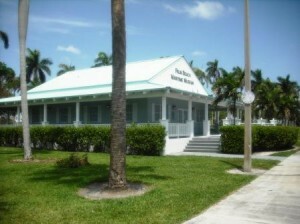 Very well done, one of the best in Palm Beach County and not to be missed! 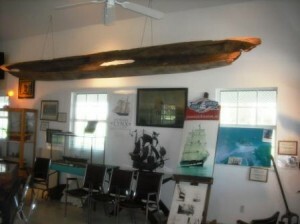 Currie Park is also home of the Palm Beach Maritime Museum where you can view several artifacts, replicas of ships including the famous Jacques Cousteau ship. 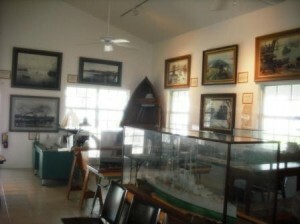 Lots of exhibits, photos, memorabilia, and a very friendly and helpful guide will answer all your questions. So there’s a lot to see and learn at Currie Park and really will not take that much of your time either. However, you may be taken in by the peaceful water views and could just make it an entire afternoon of delight. Enjoy! 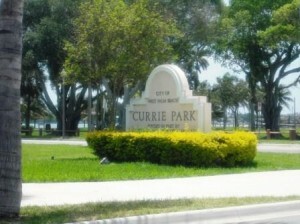 Other Places to Visit, Parks in WPB Currie Park. permalink.